What's the best way to clean piano keys? As a piano teacher, I deal daily with kids who harbor all kinds of germs under their fingernails. What should I do to clean my piano and limit the spread of disease? During flu season, I set out to find the best solution. I did a thorough search on the Internet. I was in no way prepared for the variety of conflicting advice. The list of cleaning agents was almost diabolical. Imagine slathering your expensive Steinway keys with gasoline, toothpaste, whiskey, Lysol, Chlorox, yogurt, or alcohol? The list of cloths to use while applying this vile selection of agents was also fairly long: leather, cheesecloth, soft uncolored cloth, paper towels, and others. I had gathered so many possible methods that I felt hopeless to narrow it down to something simple and concise. I kept researching. After reading dozens of different articles I began to notice that the advice mostly came from a few sources: piano teachers, "good housekeeping" websites, piano manufacturers, and piano movers. The opinions of the piano teachers were the most broad, agreeing mostly on using Chlorox or Lysol wipes, while insisting that their students wash their hands or use disinfectant gels before tickling the ivories in lessons. One of the most interesting articles appeared to have been written by a chemist, who described some very complicated chemical names before ultimately siding with using Chlorox wipes or just plain water mixed with a dash of mild detergent soap. I soon found that the piano manufacturers tended to agree on a few things. Start with the white keys using a soft uncolored cloth. Use a blend of several parts water to white vinegar. Always wipe from the piano side of the keys to the front and then dry them immediately afterwards with a clean cloth. Clean the black keys last in the same fashion. There were a couple of odd articles that recommended the use of toothpaste or yogurt. Worse yet were one or two that recommended gasoline or whiskey. 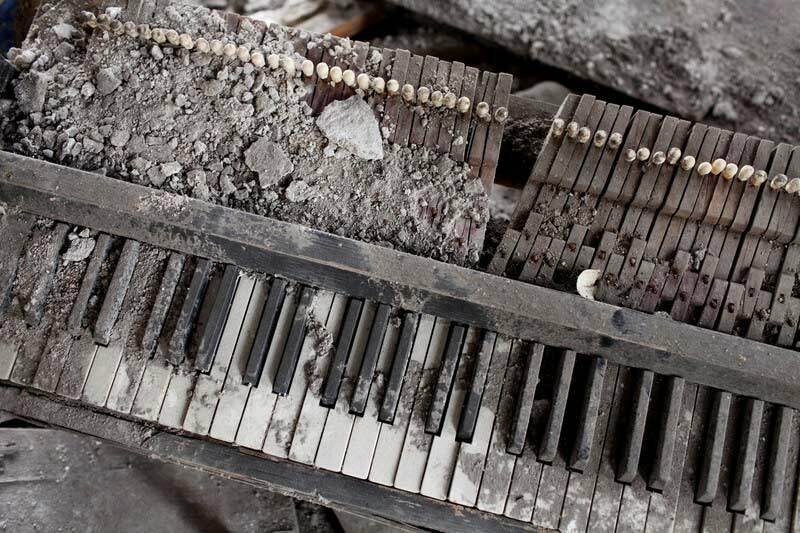 I started to imagine a Bacchanal where whisky-drinking, cigarette-smoking piano players set a Steinway piano factory on fire! Yikes! All in all, the internet search revealed a perplexing array of methods. With this plethora of options, I simply wasn't sure which one was the best. Then a thought occurred to me: I knew someone who was an excellent piano player with a graduate degree in music. He made his living playing gigs and repairing pianos. Surely he would know the best way to clean piano keys. I wrote him an email, asking him if the following advice was good. He replied acknowledging that it was, while recommending a product called "Key-Brite". Use a soft uncolored cloth slightly dampened with pure (filtered) water. Clean the white keys first, black keys last. Wipe the cloth from the piano side of the key towards you, then dry the key. Do not move the cloth from side to side because it may deposit water between the keys. You may use a solution of several parts filtered water to one part white vinegar, but use this only if the keys are particularly dirty. You may also use a product called "Key-Brite" to clean the keys. 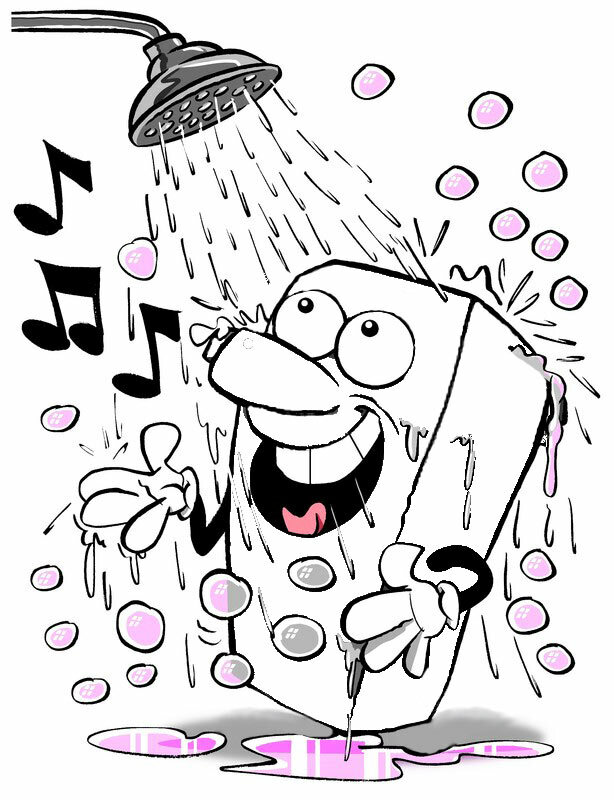 Wash hands with plain soap and water before playing the piano. Although it was interesting doing the research on the Internet for this article (I'm still gasping at the idea of using gasoline to clean piano keys! ), it reminded me of something I sometimes tell my students. "Don't believe everything you read on the Internet. It's hard to know what the truth is." To get good reliable advice, consult an expert.